Who Belongs to AFP Orange County? 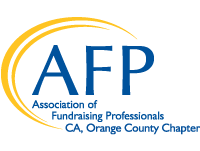 Below is a partial list of the organizations whose executives are members of the Orange County chapter of the Association of Fundraising Professionals. American Family Housing Human Options Project Access, Inc.